Unstable Fx: require ORIF. 15%-20% chances of 2nd OA. Can be stable or unstable. On occasions, the decision is made during operative exploration. 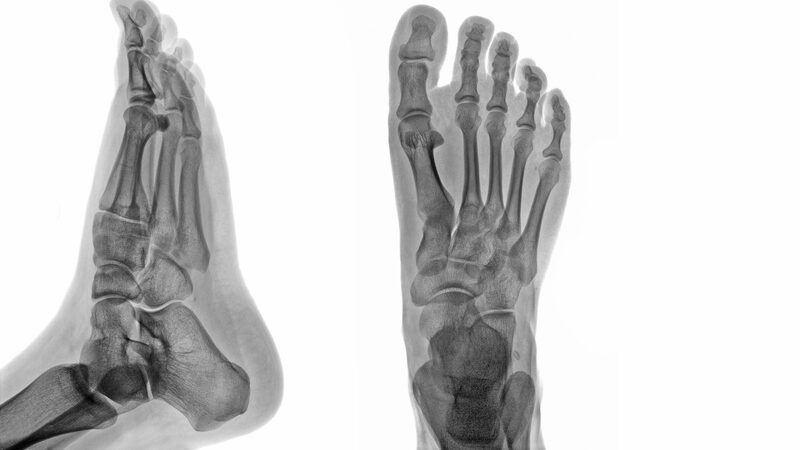 AP, medial oblique and lateral views reveal Weber C – suprasyndesmotic injury with abnormal joint widening d/t disruption of tib-fib syndesmosis. Very unstable injury. 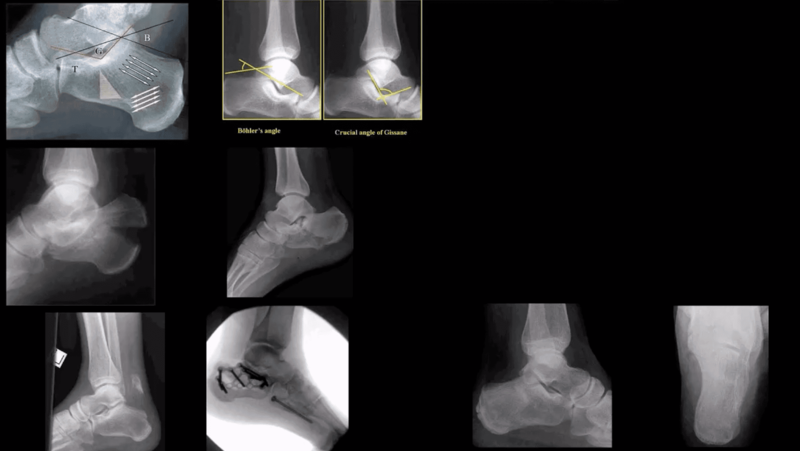 Occasionally, when Weber C Fx positioned 6-cm from the tip of the lateral malleolus it may be termed as Pott’s ankle Fx (name after Percival Pott’s who has porposed the original classification of ankle fractures based on their stability and degree of rotation). The term is somewhat outdated. 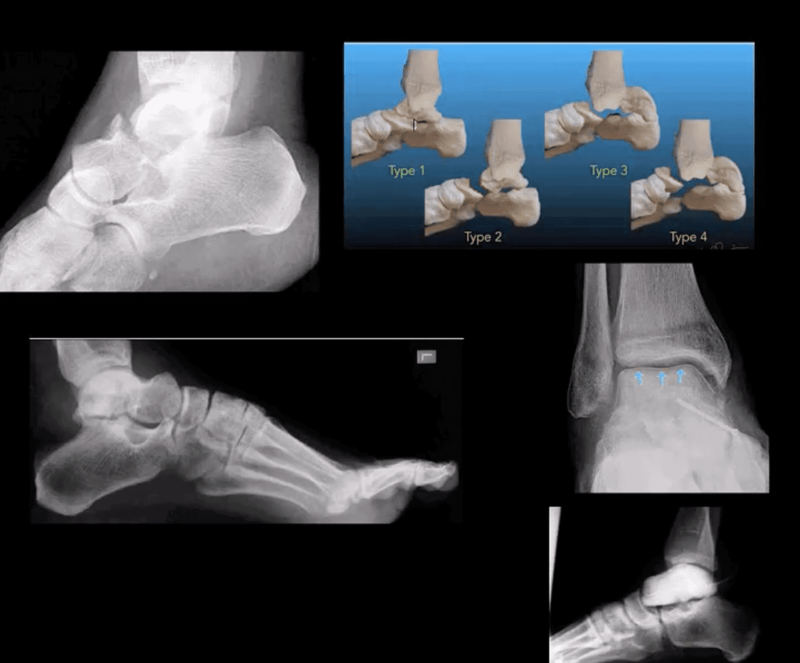 Above top images Bimalleolar Fx v. unstable, result of pronation and abduction/external rotation. Rx: ORIF. Pediatric Fx affecting older child when medial side of the physis is closed or about to close with lateral side till open. 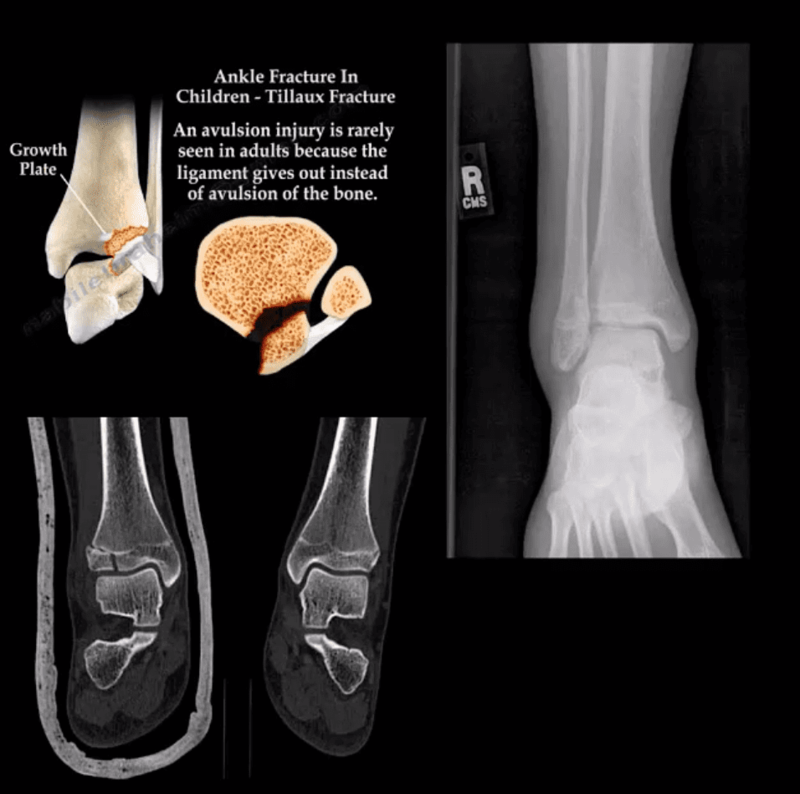 Avulsion by anterior tibi-fibular ligament. Complications: 2nd dry/premature OA. Rx: can be conservative if stable by boot cast immobilization. 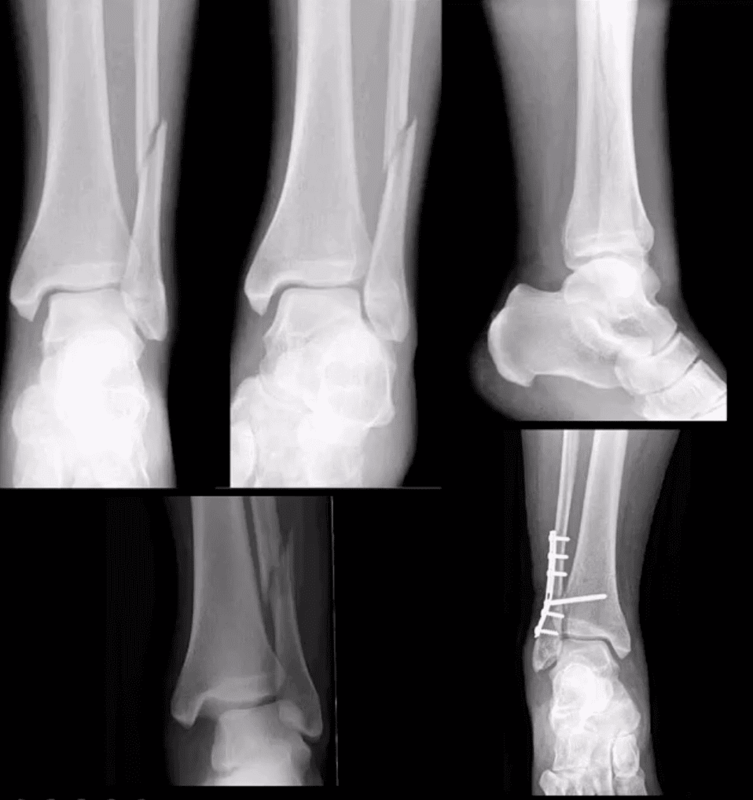 Salter-Harris classification helps to diagnose and prognosticate physeal injuries. T: type4, “through” Fx extends through all: physis, metapysis and epiphysis. 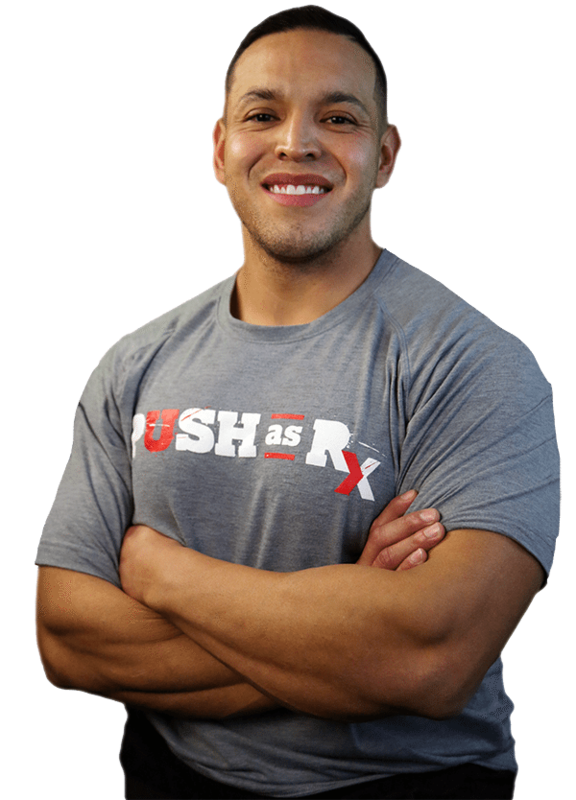 Type 2: has the best prognosis and considered the most common. 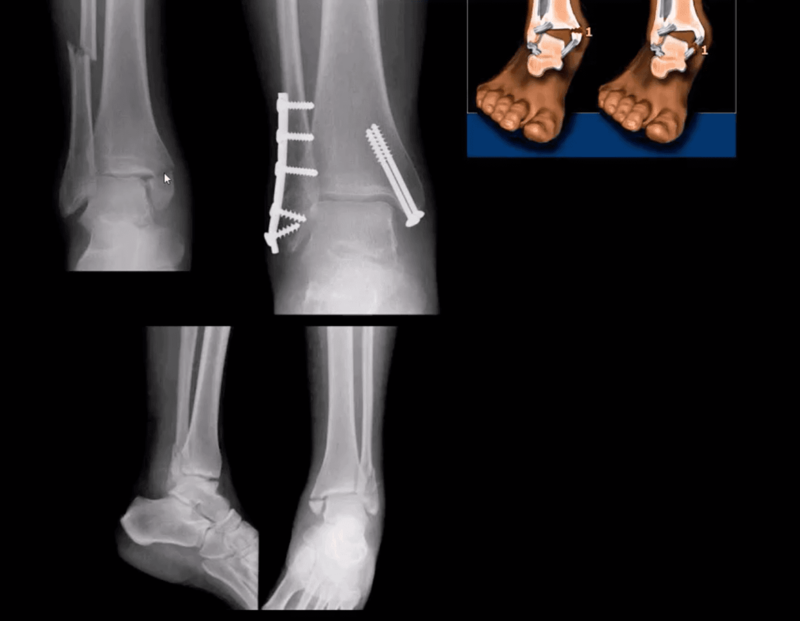 Complications: early physis closure, limb shortening, premature OA and others. 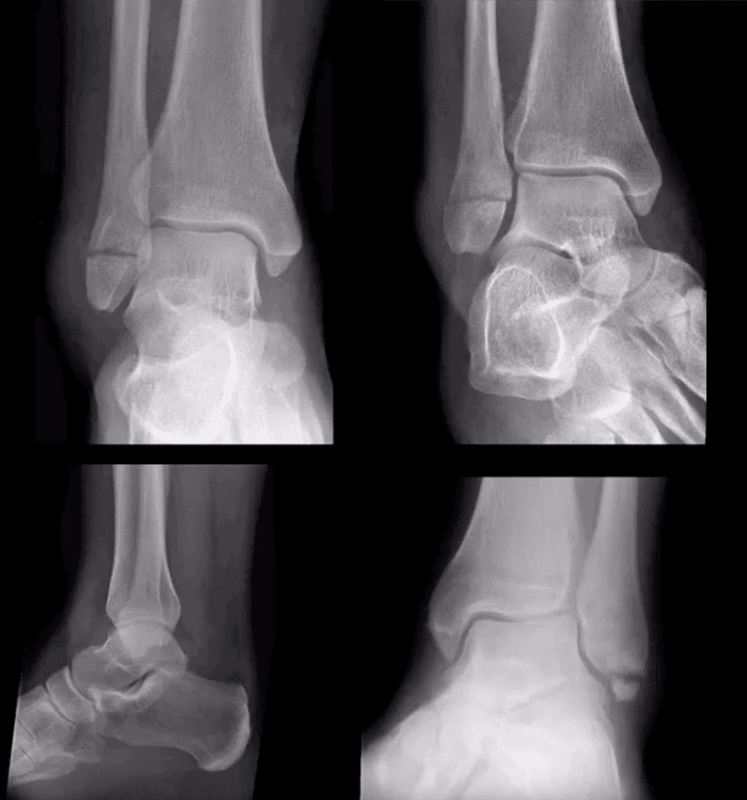 Mechanisms: axial loading (intra-articular Fx into sub-talar and calcaneal-cuboid joints in 75% cases). 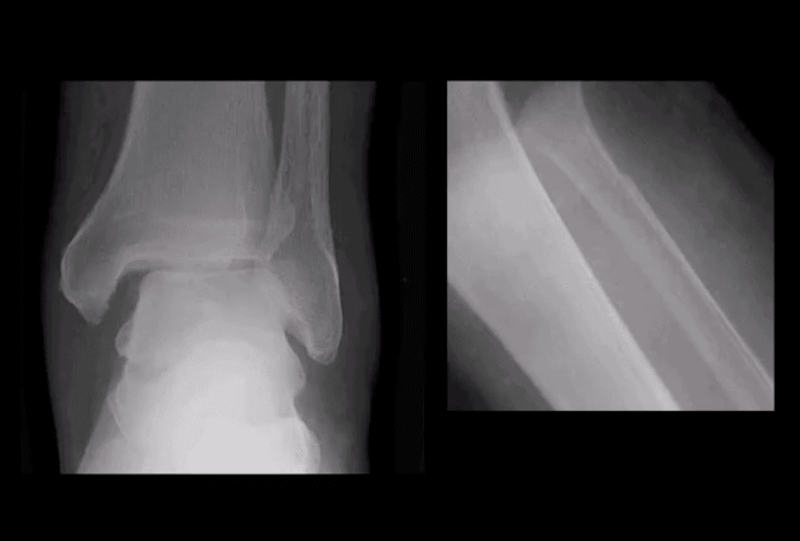 Avulsion by Achilles tendon (m/c in osteoporotic bone). Stress (fatigue) Fx. Intra-articular Fx carries a poor prognosis. Typically comminuted. Rx: operative. B/I calcaneal intra-articular fx with associated vertebra compression Fx with associated vertebral compression Fx (T10-L2) often termed Casanova aka Don Juan (Lover’s) fx. 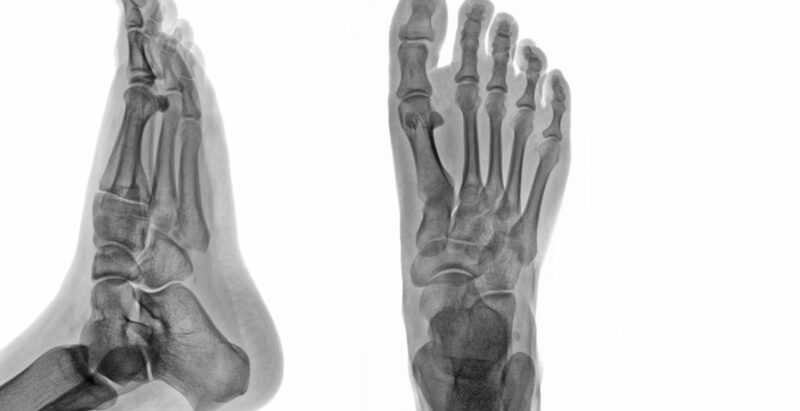 Imaging: x-radiography with added “heel view” 1st step. CT scanning is best for Dx and pre-op planning. 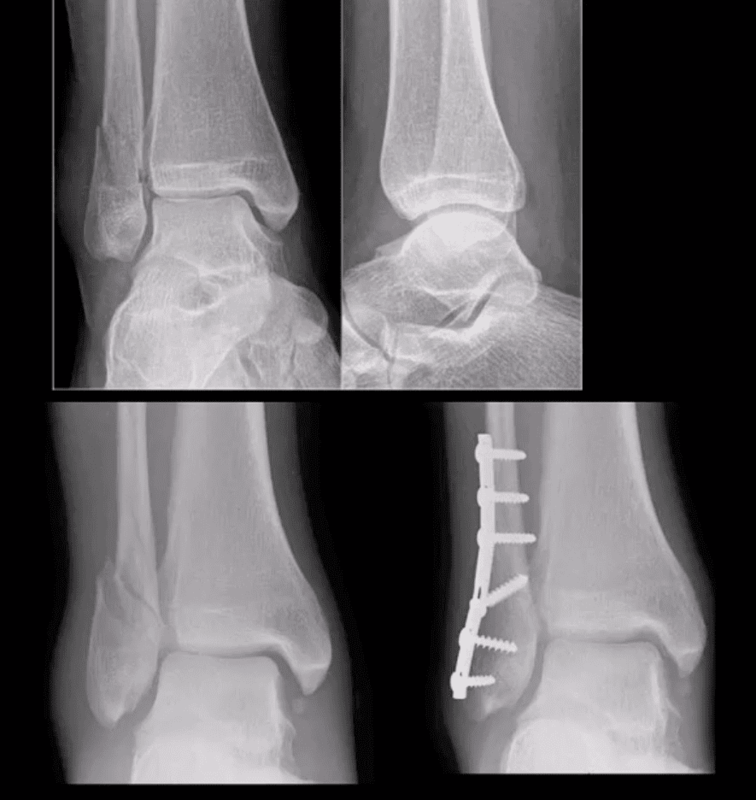 Radiography: Bohler’s angle (<20-degrees) Gissane angle >130-degrees. Indicate Calcan, Fx.